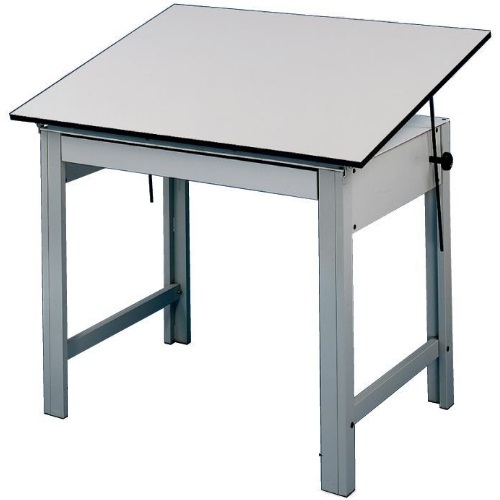 Compared to any other drawing table on the market this is, without a doubt, a table of superior strength and durability with a lifetime guarantee. 4-post table is made of 18-gauge steel tubing (not pre-fab sheet steel). Legs are welded together for maximum strength, stability, and rigidity. Tabletop board made of 3/4" therma-fuse Melamine. Tabletop size is 36"W x 48"L.